'Slotting' is a human tendency. It is a part of our psyche. We slot everything according to our perception. In cricket, we slot players as batsmen, as bowlers and when we see them day in, and day out in the same role, their slotting gets an identity. Whenever we saw Graeme Smith, we knew he was the skipper of the South African team because that's what he did throughout his career. He was their de facto captain. MS Dhoni minus the wicket-keeping gloves in the field is even hard to imagine. The sight of Rahul Dravid throwing his cap in frustration was a more shocking sight than Mumbai Indians' unbelievable win against Rajasthan Royals in 2015. Because Dravid was our 'nice guy'. In the same manner, some players are stamped as a 'specialist ' in cricket. Brian Lara was a specialist batsman while Glenn McGrath, a bowler. Hence, imagining Lara bowling leg break bowling is not possible and imagining Ashish Nehra playing a textbook cover drive is also not possible. This slotting ends up in shadowing the achievements of players in other departments. Some players are remembered as a batsman only, and hence their bowling heroics have gone unnoticed. These five cricketers who are stamped as 'specialist batsman' not only know how to roll their arm but also have a Test wicket to their name. There are a few surprising names here! The artist among the butchers, VVS Laxman could stop the time when he played his elegant drives or his incredible flick shots. He rarely smashed boundaries, he painted them with craft and an artistic touch that made cricket more beautiful. 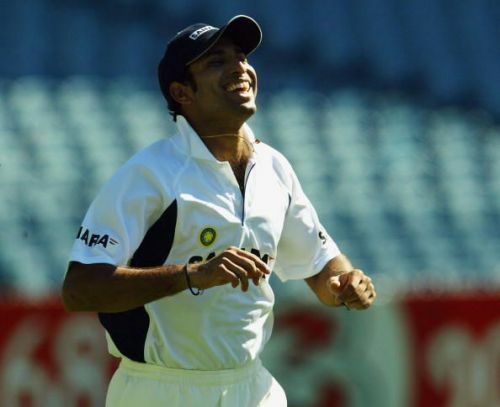 The man who tormented Australia during their peak phase, Laxman truly was a special batsman thanks to his miraculous innings that enabled Inda to win Tests after being pushed at a corner. But the right-hand batsman could also roll his arm and deliver few overs when the captain ran out of ideas. He bowled off-break at a gentle pace and rarely troubled the batsmen with his turn. However, during his career of 134 Tests, he bowled 324 deliveries and also claimed two wickets. In an inconsequential Test match against West Indies at Antigua in 2002, he sent back Adam Sanford to pick his maiden Test wicket. Six years later, in another high scoring Test at Kolkata against Pakistan, he was called in to break the hundred run partnership for the eighth wicket and he responded brilliantly by sending back Mohammad Sami as his second and last Test wicket.